I have always been passionate about growing food organically – all kinds of it and I never liked buying food that can be grown in my own garden. Unfortunately in our climate in Ireland and many parts of the UK, there is a whole range of common vegetables that will do poorly outdoors and we need the extra heat and shelter of a greenhouse or polytunnel to get a good crop. Only in the most favourable areas could you grow tomatoes, peppers and cucumbers outdoors and even there the yield will only be a fraction of what can be achieved in a polytunnel or greenhouse. For example my favourite tomato variety ‘Sungold F1’ can produce about 500 most delicious cherry tomatoes per plant in a greenhouse or polytunnel. Outdoors you’d be lucky to get more than 50 tomatoes per plant. Our growing season is also relatively short but with the help of an indoor space we can prolong the production period for most vegetables. 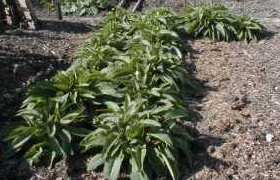 You can harvest your first early potatoes in April, your carrots and beetroot in May and you can harvest salads all year round. 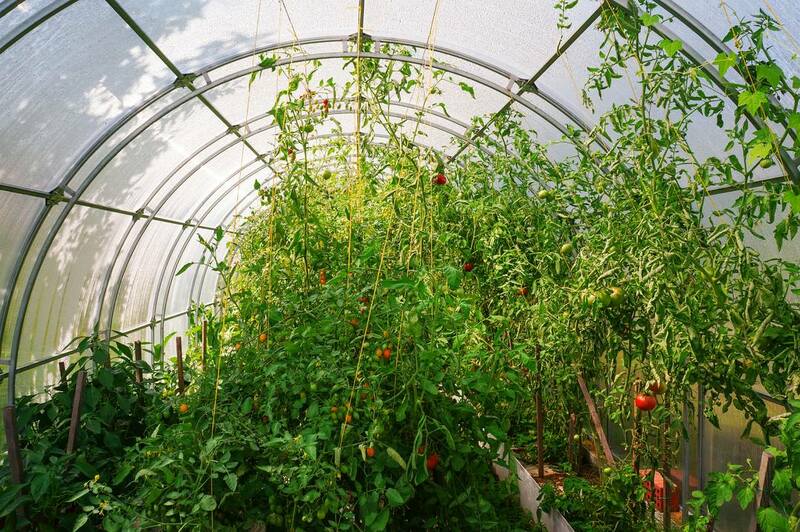 I promise you: getting a polytunnel or a greenhouse will revolutionise your gardening life. It will open up new avenues, you’ll experiment with new vegetables and you’ll be guaranteed a good food supply throughout the year. You can also do some gardening work even if it rains outside. Even if we get a poor summer you can get the illusion that you are in a different country and enjoy the warmth at home. The choice between a greenhouse and a polytunnel is quite simple. A greenhouse (also referred to as a glasshouse) is a lot more expensive but more attractive and has better heat retention and light transmission compared to a polytunnel. Unless you can build your own greenhouse using some recycled materials your choice may naturally be a polytunnel as they have become very affordable in recent years. Polytunnels come in all sizes and you can pick one that suits your garden. They are fairly easily assembled but it would be better to get some help and advice from somebody that has done it before. There is no right or wrong time of year to put one up. 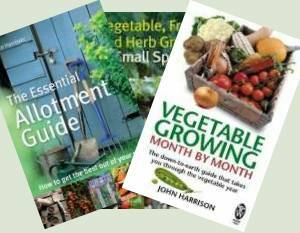 You can sow or plant some vegetables nearly all year round. Just make sure that you put up the plastic on a sunny day as the plastic expands when it’s warm and shrinks a bit when it’s cold. This helps to get it really tight and stops it from flapping afterwards. Choosing the right place for your polytunnel or greenhouse is absolutely essential. It should be placed in full sun with reasonable shelter and good access from the house. Frost pockets should be avoided and make sure there is no competition from tree roots. Be aware that tree roots penetrate much further than the crown of the tree. There is a simple rule: the healthier your soil is, the healthier your crops will be. In a polytunnel or greenhouse we produce a lot more food compared to an outdoor plot. We sometimes get four or five different vegetables into the same space in one year. That means we need to feed it a lot more and the best feed for the soil is compost or composted manure. They enliven and improve the soil. Other organic fertilisers such as seaweed dust, organic poultry pellets or home-made liquid feeds can be used as supplementary feeds but never as a substitute to compost or manure. This Article is by Klaus Laitenberger, expert on Polytunnel Growing. Klaus grows in the challenging conditions of Ireland and has experience and knowledge of growing under shelter in polytunnels and greenhouses.